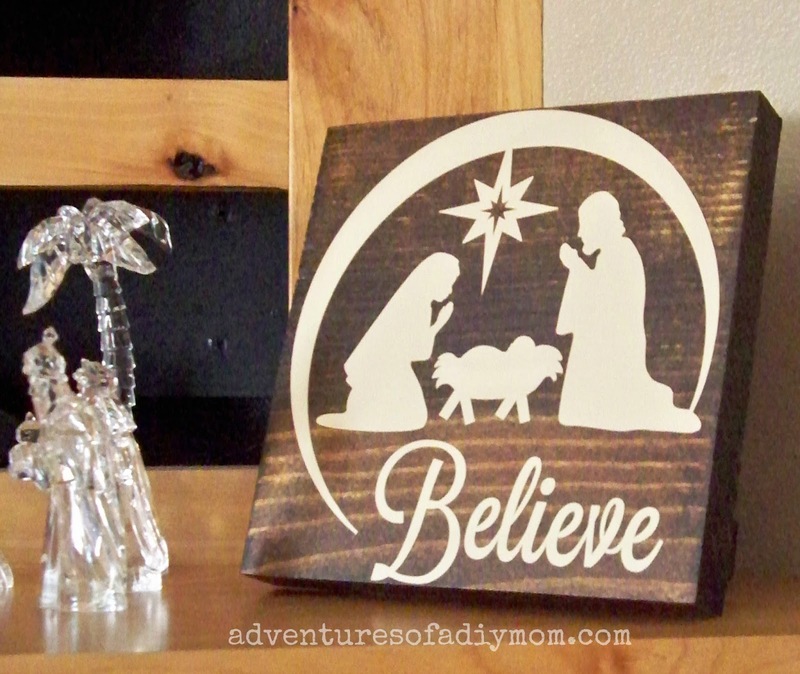 Today I'm going to show you a simple wooden Nativity sign to dress up your home for the season. 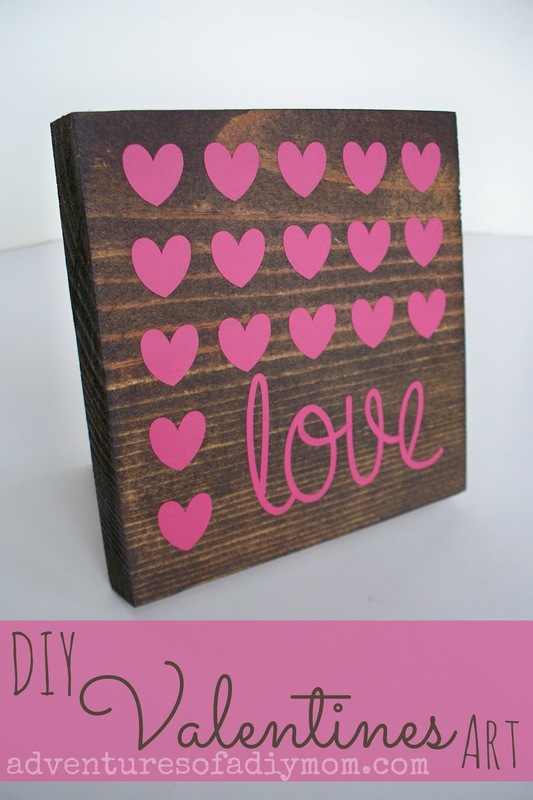 This is easy to make and you can even use scrap wood to cut down on the cost. I love the look of the dark stain with the cream vinyl. 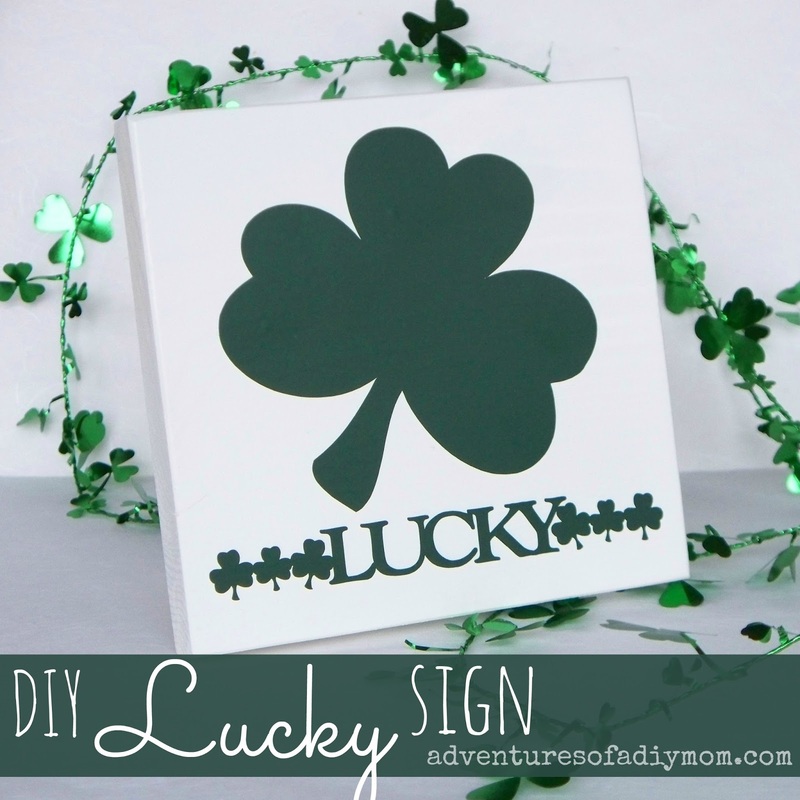 As a side note, things might get a little sporadic around here on the blog. 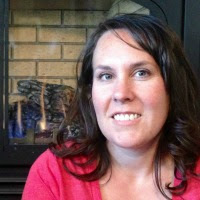 I have so many ideas of things I want to make this holiday season - and I want to share them too. I'm just not sure how much time I'll have to sit down and blog. I'll do my best, but blogging is not my first priority in December. 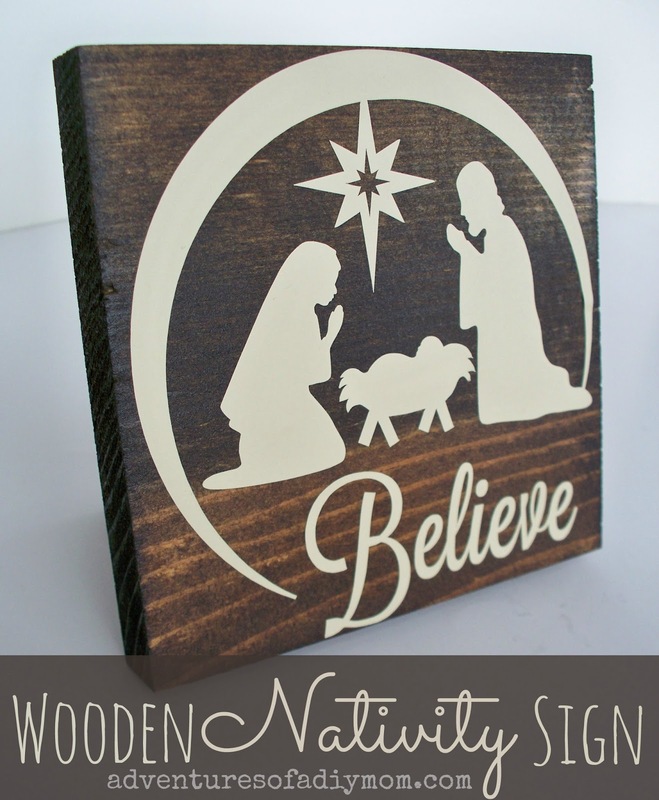 Want to make your own Wooden Nativity Sign? To begin, cut your pieces to size. This project is easily changed to meet your needs. I wanted a square piece. Change it up to fit your style and ideas. 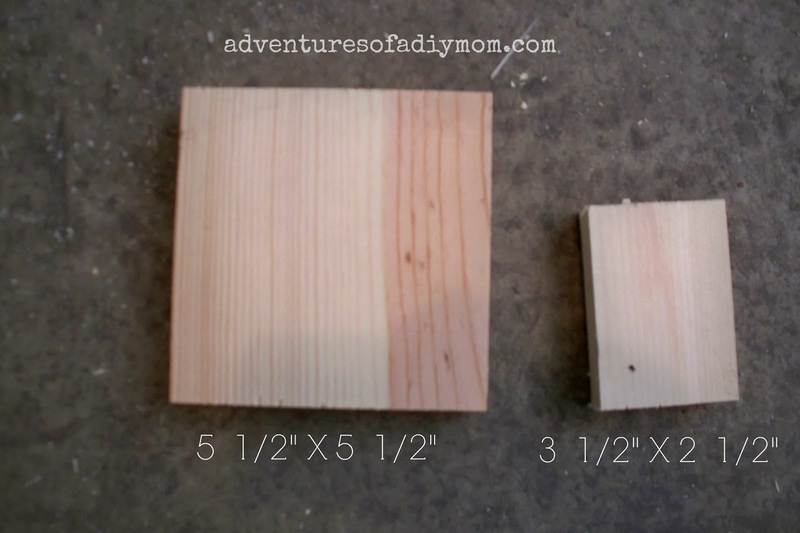 You could also use a 2X6. Then it would stand on it's own without the small piece. In your small piece drill two holes with the kreg jig. Next, stain your wood if you'd like. I used Minwax Espresso. After letting the stain dry thoroughly, I sprayed on a couple coats of lacquer. You can use steel wool to smooth out any bumps from the lacquer. I actually made two, so that's why there's extra pieces in the picture above. Line up your small board at the base of your larger board. 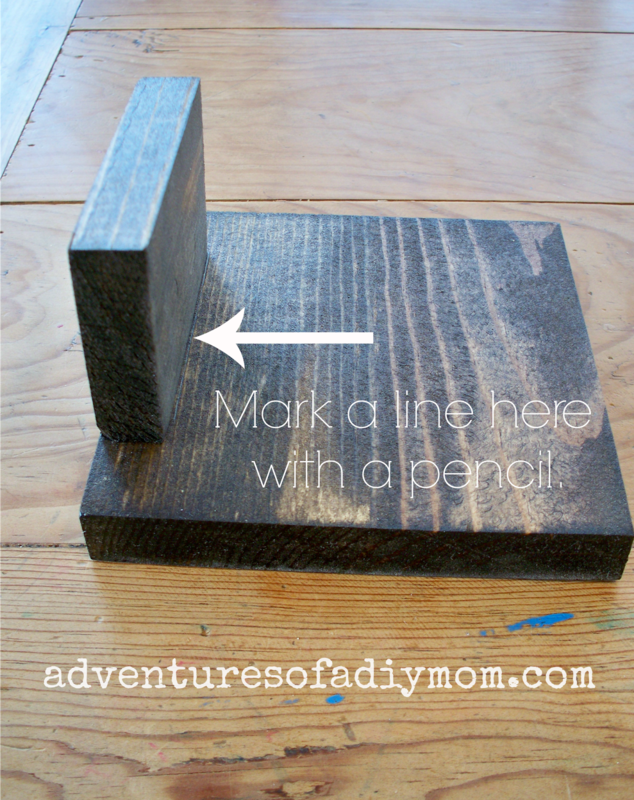 Draw a line with a pencil. Now move the small board up using the line as a guide to keep it straight. Screw the screws in the pre-drilled holes. Look at that! It makes the perfect little stand. Then simply cut your vinyl and apply it to the front of your board. I found this sweet nativity scene last year for the Silhouette. New to applying vinyl? Check out my vinyl applying tutorial. Here it is on my mantle.